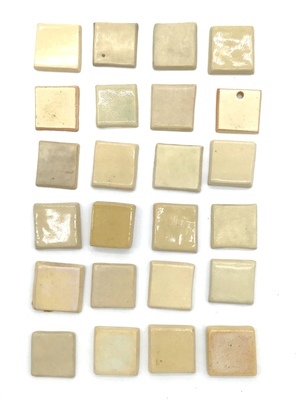 "Miniature Ceramic Glaze Test Tiles, Lot 5"
Lot of 12 individual ceramic glaze test tiles. "Miniature Ceramic Glaze Test Tiles, Lot 5" (2018). UND Pottery Collection. 2278.